nor the one for the beginning. what to do with them all. 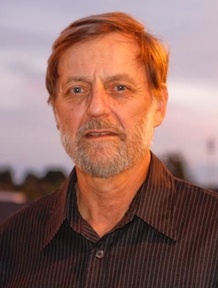 Poet and retired physicist Len Anderson is the author of one previous collection of poems: Affection for the Unknowable (Hummingbird Press, 2003), and a chapbook, BEEP: A Version of the History of the Personal Computer Rendered in Free Verse in the Manner of Howl by Allen Ginsberg. He is a co-founder of Poetry Santa Cruz and serves as Secretary-Treasurer. He and his wife live in the Live Oak area in Santa Cruz County. Invented by the Night by Len Anderson. Release: November, 2011. Cover art by T. Mike Walker and Len Anderson. Author photo by Don Monkerud. 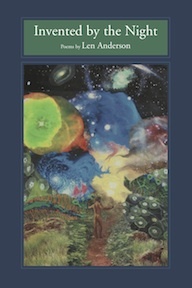 Len Andersons first collection, Affection for the Unknowable.